There are times when the digital download just isn’t enough, and this five disk, 115 track box set is one of them. 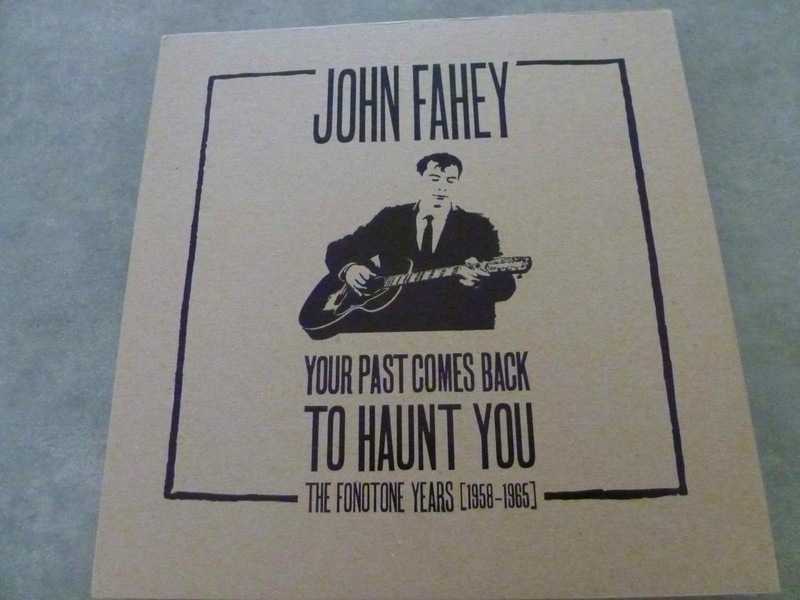 As a certified Fahey fan who’s in the process of acquiring everything in the man’s acoustic back catalogue (I’m not so sure about his later, more confrontational electric explorations, though no doubt I’ll be sampling some of them in the future) the chance to get back to Fahey’s very earliest work seemed like a no-brainer when I spotted these titles in the iTunes store, even at $16.99 a throw. We are, or rather were, looking at the formative years of one of Hughesy’s favourite musos. With something like this, however, it’s not just the what when it comes to the recording, it’s the where, the when and the why, which explains why I’ve been forced to shell out for a hard copy. The hard copy comes with an accompanying hard cover 88-page book, and if I’d investigated first I wouldn’t have gone down the digital path at all. Checking the possibilities at Fishpond alerted me to the presence of Vampire Vultures, the sequel to How Bluegrass Music Destroyed My Life (still need to track that one down, but it won’t be long before I do) and with Vampires marked down from $21 to $13.25 and Your Past around half price ($154 into a tad under $76) the catch-up exercise wasn’t as heavy on the hip pocket as it might have been. Most of the music, at least in this incarnation, is available in a digital format for the first time, remastered from reel-to-reel tapes recorded in a basement in Frederick, Maryland for Joe Bussard’s tiny Fonotone label. That in this incarnation bit is the key here, because much of this material was revisited in later sessions. 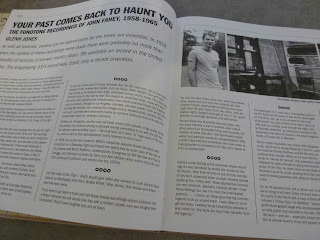 Appearing a decade after Fahey’s death, the hard copy comes in a cardboard slip case, with two inserts. 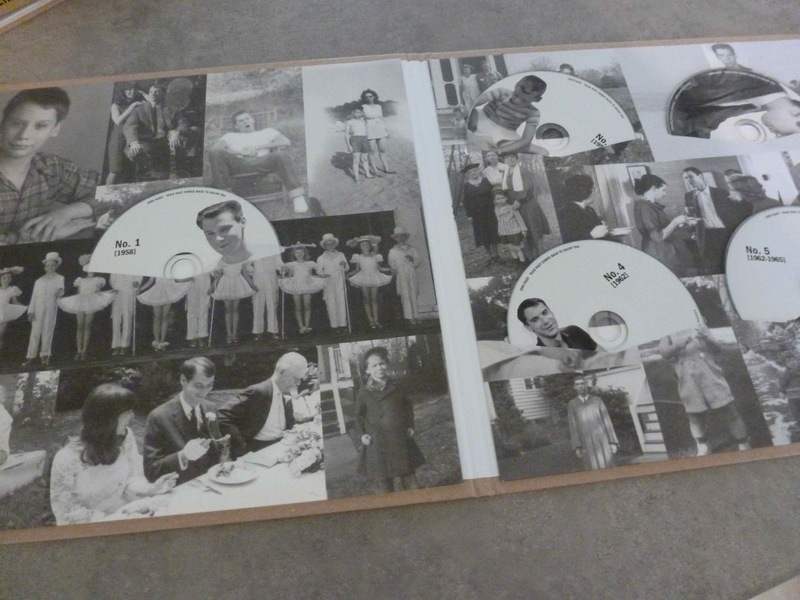 One, a gatefold portfolio lined with period photographs, contains the five disks with 115 tracks sequenced chronologically, apart from a 1967 interview snippet that sets the scene for what follows as Fahey does his best to veer attention away from the rough hewn emulation of Charlie Patton and Mississippi John Hurt as Joe Bussard rolled tape and provided strong drink. The results were manually cut onto 78, 45 or 33 rpm disks from the master tape, each slightly different from other renderings of the same piece of tape. The other, the aforementioned book, is where the real difference between the digital download and the hard copy comes in, and it comes in big time. If you’ve had enough of those CD booklets with fonts that require the use of a magnifying glass, this one’s for you, folks. Formatted to the same size as the good old fashioned 12-inch album, the core of the book is Malcolm Kirton's exhaustive 40-page analysis of every track on the six-hour set, bringing together Fahey's take on the material, along with his tunings and playing techniques. It’s a detailed portrait of a scrawny white kid from the outskirts of Washington, D.C. who has somehow become fascinated by obscure songs from obscure black bluesmen ignoring contemporary rock’n’roll and canvassing door to door in poor neighbourhoods looking for old records. The recordings here were the other side to that coin, since Bussard was a noted collector and, in return for the playing while the tape rolled Fahey got booze and spare copies of folk, blues and bluegrass 78s from the twenties and thirties that were surplus to Bussard’s requirements. 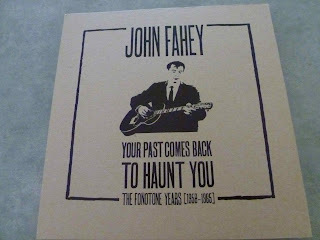 Kirton is also involved with The Fahey Files, an authoritative online archive of Fahey’s extensive discography maintained by the International Fahey Committee. 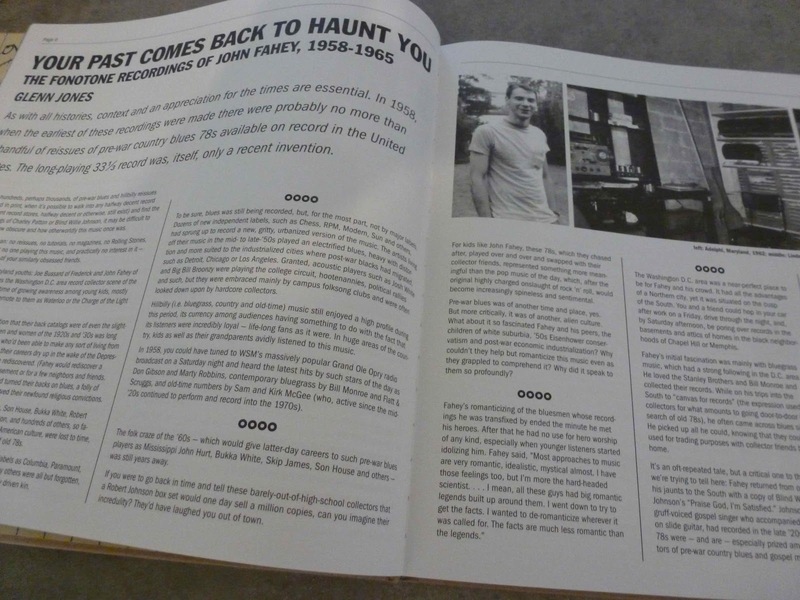 Apart from Kirton’s Notes on the Recordings the book,contains co-producer Glenn Jones’ Your Past Comes Back to Haunt You: The FonotoneRecordings of John Fahey, 1958-1965, which sets the scene for what follows, and his description of Nuts and Bolts of the Set. Italian researcher Claudio Guerrieri contributes The Transillumination of Blind Thomas, a guide to the hand-written labels Bussard attached to the individual hand-cut recordings, which leads into Kirton’s An Orchestra in Miniature: Fahey’s Guitars and His Emerging Techniques, Fahey’s childhood friend R. Anthony Lee’s “The Wolves are Gone Now”: The Early Musical Life of John Fahey, a Byron Coley poem, Douglas Blazek’s 1967 interview with Fahey, published here for the first time and Eddie Dean’s In Memory of Blind Thomas of Old Takoma - John Fahey, 1939-2001 add extra dimensions to what is already a wealth of detail. Blind Thomas, for the uninitiated, was Fahey’s fictional ancient black bluesman alter ego on the sessions, the predecessor to Blind Joe Death who allegedly played a guitar made from a child's coffin and was struck blind and dumb for refusing to learn barre chords. But, regardless of the packaging (and it’s very impressive packaging) it’s the musical content that counts and while there’s material here that arguably justifies Fahey’s less than favourable assessment of it as a whole it’s a remarkable collection that shows the development of a self-taught guitarist who fused Appalachian string band music, Delta blues, Indian ragas and the hymns sung in his local church into steel-string fingerpicked tone poems. Running through the set sequentially there are occasions where you’ll be inclined to reach for the fast forward button, particularly when Blind Thomas vocalises and collaborates with a flautist, but persevere and by the final disk a dedicated fan will be in familiar Fahey territory, having had a fair chance to get a sense of the musical terrain along the way. Transferred from original tapes, with speed correction you’re looking at a remarkable collection that’s a must have for any serious student of finger-picked guitar and every long term Fahey devotee. The set was released with the support of Joe Bussard and the John Fahey Estate, and dedicated to John’s mother, Jane C. Hayes and musician Jack Rose.